There are different kits available to order, just choose the one you need. 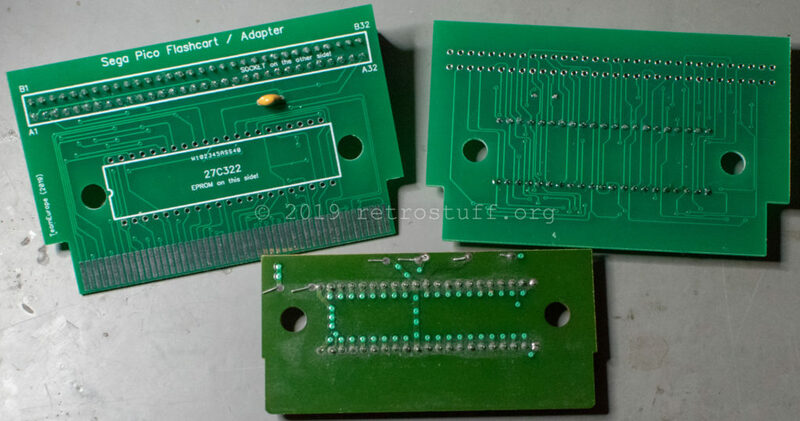 Left: Mega Version, right: EPROM Version, bottom: the old modified Mexican PCB. 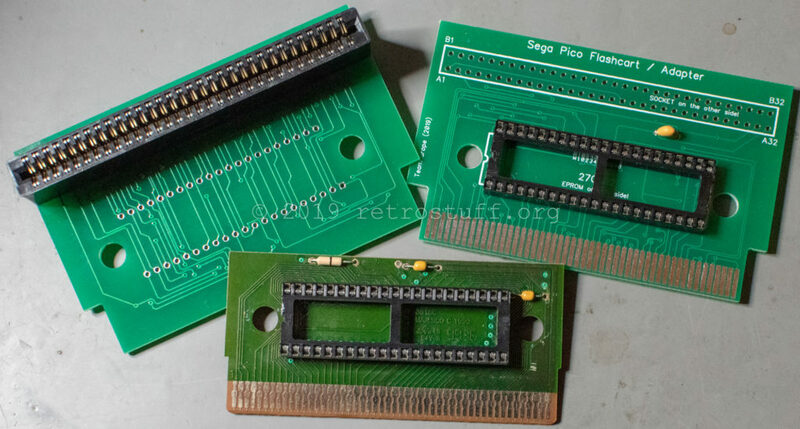 The most interesting version is probably the adapter for Mega Drive flash carts. It doesn’t work with the first generation EverDrive MD though. While it is possible to flash Pico games to the internal flash memory (with the help of a Mega Drive), it is not possible to load the game without booting to the EverDrive OS first. The Pico can’t deal with that and shows a black screen only. I’ll put it on my to-do pile until I get a hold of a different kind of Mega Drive flash cart. Also, I don’t like the idea of cutting holes into my Pico games – let’s hope that somebody designs a printable 3D model for both the MD adapter and the EPROM. 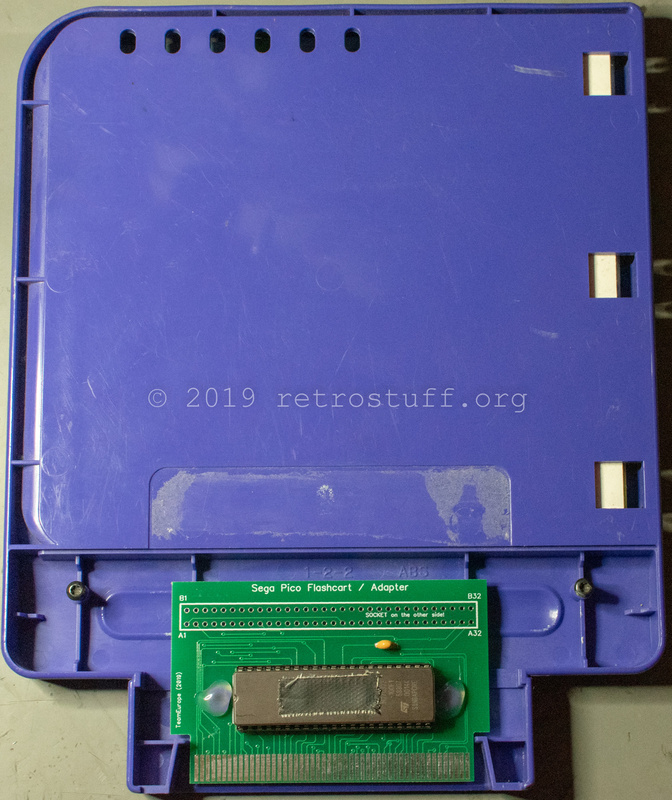 For now, I’ll use a donor cart without back cover and some hot glue.